Cookies are really my thing this time of the year and as you know I’ve been in full on cookie baking made for the past few weeks. I wouldn’t say that I’m tired of making them (or eating them), but let’s just say that I felt the need to switch things up a bit. Of course candy came to mind because we all know the holidays are also about the candy canes and chocolate shaped holiday characters. No, I’m not making either of those. 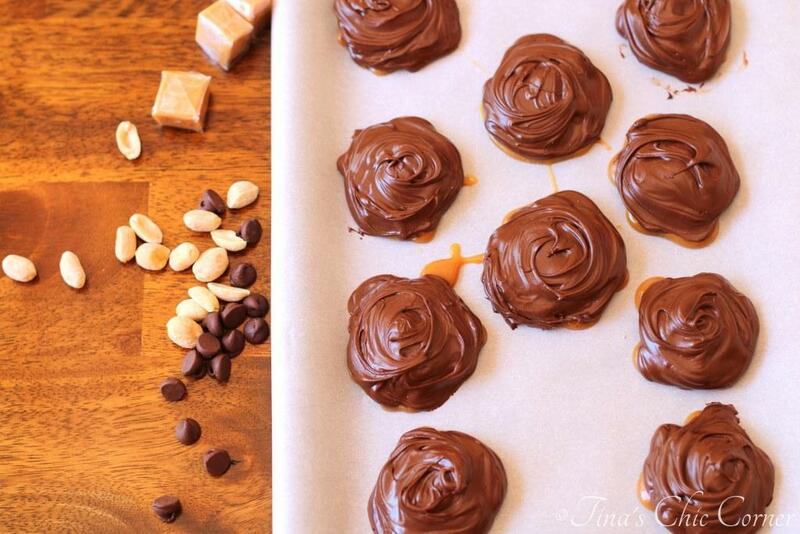 I’m a newbie when it comes to candy making so let’s go easy, okay? I didn’t screw it up! 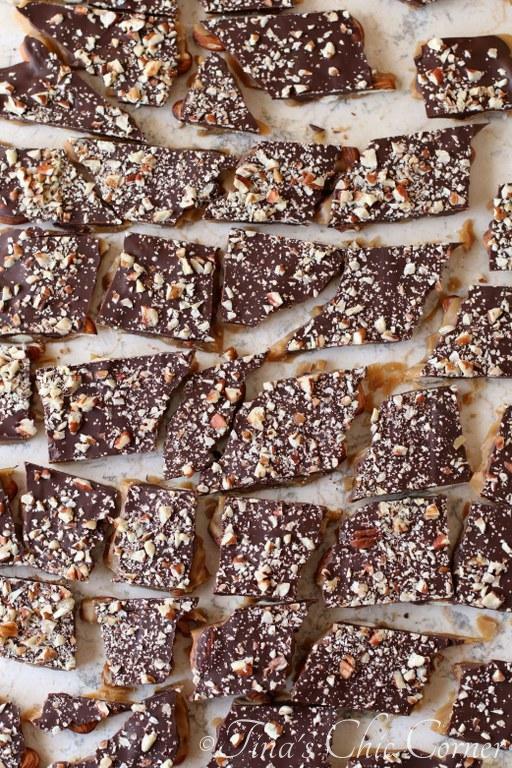 In fact this toffee was very easy to make. And the best part is that it SO delicious. 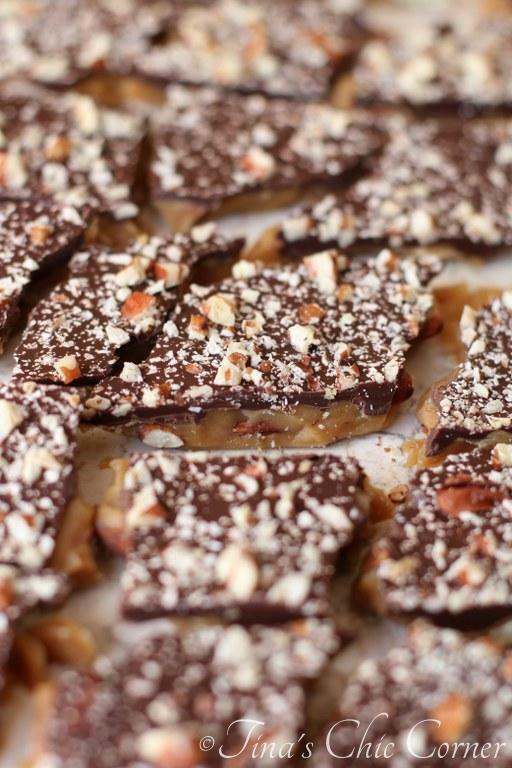 This is the kind of thing that you’ll want to make every holiday season… in multiple batches. Yes, it’s that good. Preheat the oven to 350 degrees F. Line a baking sheet with a silicone mat or parchment paper and set it aside. Spread the almonds in an even single layer on the prepared baking sheet and toast them in the preheated oven for 10 minutes. Once it’s done, set it aside. Cut the butter into cubes. In a medium saucepan, on Medium heat, add the cubed butter, sugar, vanilla extract, and salt. Cook the butter mixture, stirring constantly. I used a wooden spoon. The butter mixture will turn foamy and then gradually turn to a brown color. When the butter mixture is the color of the almonds it’s done. (For me it took about 25 minutes from when I turned the stove on). Immediately pour the mixture evenly over the almonds. Be very careful because it’s super hot and super sticky. Immediately sprinkle the chocolate chips on top and wait about 1 to 2 minutes. 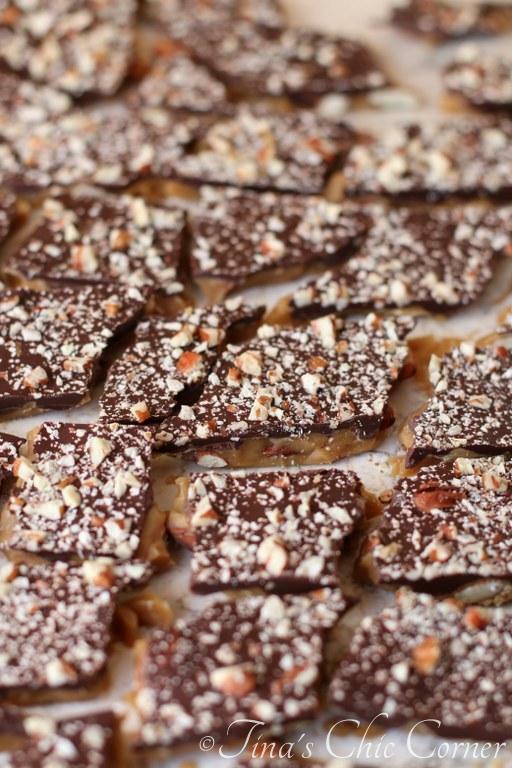 The heat of the toffee will melt the chocolate chips. Gently spread the chocolate chips as they melt into an even layer of chocolate. 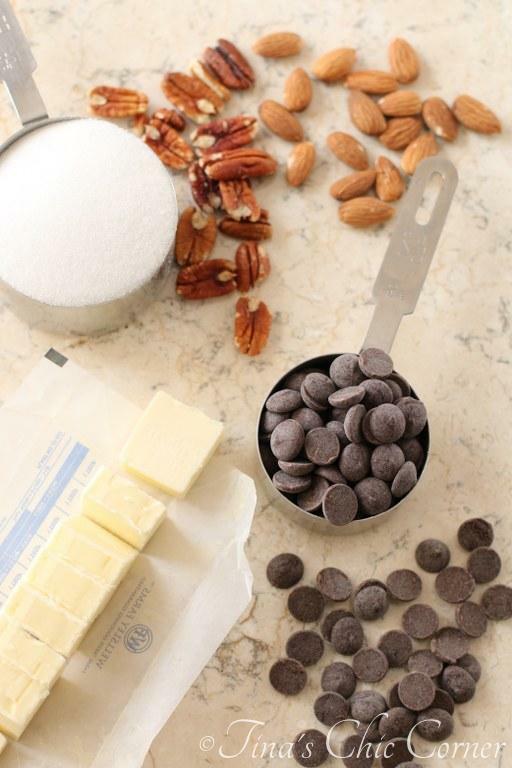 Sprinkle the chopped pecans on top of the melted chocolate before it cools. Break the candy into pieces. I started the process by cutting the sheet of candy into strips with a knife. 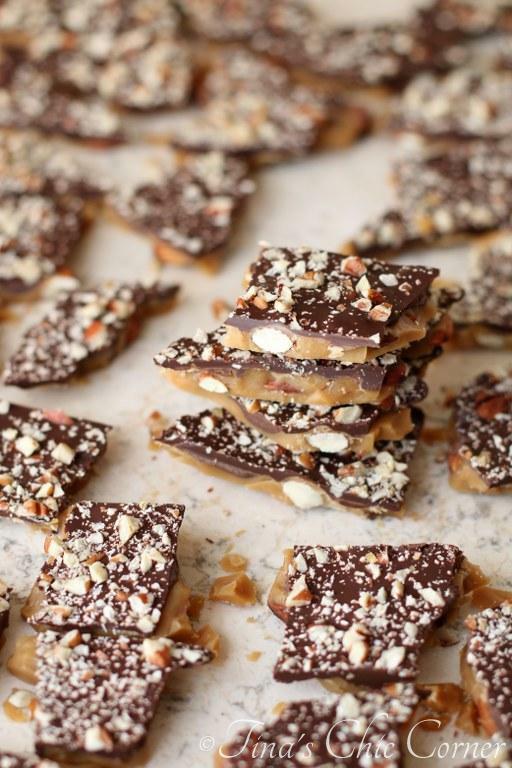 Here’s another cool candy recipe.